Male fish taking on female characteristics. A community plagued by high breast cancer rates. Waterways polluted by manure from animal feedlots. These phenomena may seem unrelated, but some researchers suspect they share a common link: hormone pollution. Natural hormones and synthetic compounds that mimic them are increasingly being detected throughout the environment, especially in waterways. Of particular concern are estrogenic compounds—natural and manmade forms of the group of hormones that includes estrogen—which can have dramatic effects on aquatic animals. Although links to human health problems are much more tenuous, concerns are growing. “We should probably be concerned about what’s in our drinking water as well as what we’re dumping into rivers and lakes,” says University of Colorado endocrinologist Dave Norris. 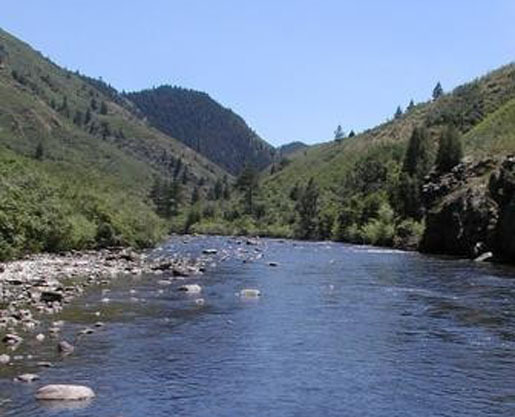 Late last year, his team made headlines when they showed that even low concentrations of estrogenic compounds released into rivers through treated water from sewage plants are giving male fish female characteristics in rivers near Boulder, Colorado. The team studied white sucker, a fish species that lives both upstream and downstream of the sewage discharge sites. Certain fish species naturally undergo a process called intersex, where they switch from male to female, but it’s rare in white suckers—under normal conditions. But in Boulder Creek and the South Platte River, researchers found more feminized fish downstream of sewage effluent sites than upstream. According to Norris, sewage treatment systems “weren’t designed to remove this stuff” from wastewater. His team found that at least two estrogen compounds—a natural estrogen and a type of synthetic estrogen found in birth control pills—contributed to the feminization. Each compound is potent enough to cause changes in fish on its own, but together they have an even greater impact. “Many of these compounds work through the same [biological] mechanism, so they can add up,” Norris explains. The feminized Colorado fish are not an isolated incident. In 2002, following large fish kills in tributaries of the Potomac River in West Virginia, researchers found fish with numerous abnormalities, including male smallmouth bass whose testes contained egg cell precursors. At some test sites nearly all smallmouth bass showed intersex, says U.S. Geological Survey biologist Doug Chambers. When Chambers led a subsequent study (completed this year), his team found many chemicals, including estrogen mimics, even in rivers crossing sparsely populated areas of West Virginia. On some level, the hormone problem is unavoidable. People and animals naturally produce and excrete estrogens. Drugs like birth control pills also contain estrogens. But the problem is exacerbated when people carelessly flush unused drugs and estrogen mimics down the drains. Estrogen mimics, or “endocrine disruptors” are chemicals that influence the body’s endocrine system which is normally controlled by the body’s own hormones. These estrogenic compounds can come from unexpected products like personal care items, perfumes and detergents, and some plastics. When these products are disposed of, the compounds may combine with natural and pharmaceutical hormones from human and animal waste to create a potent hormone cocktail. “If it’s causing these problems in fish, we have to assume that there could be human health effects.” says Retha Newbold, a biologist with the National Institutes of Health, who has been studying estrogenic compounds for more than 30 years. In humans, an excess of natural estrogen has been implicated as a risk factor for many conditions, including some reproductive cancers and breast cancer. Tests on lab animals suggest that other organ systems and pre-natal development may also be affected, says Newbold. There’s less research on the effects of man-made estrogenic compounds, but they may pose similar risks. Nevertheless, not all researchers are willing to make the leap from sewage effluent and fish feminization to drinking water and human health. “There are no smoking guns in terms of the human health effects from drinking water,” says Bruce Brownawell, a Stony Brook University marine biologist. “The evidence to date is that it’s much more of an ecological issue.” Like Norris, Brownawell focuses his research on how estrogenic compounds affect aquatic life. Brownawell believes that the levels of estrogenic compounds detected in drinking water are largely due to false positive measurements and over-analysis. He and his team are working to develop advanced mass spectrometry techniques to better detect detergents, natural estrogens and pharmaceuticals in waterways. He argues that the estrogenic dose an adult would get from drinking three liters of the “worst drinking water” every day is about one millionth the minimum dose of estrogen given therapeutically. “It doesn’t give me much reason for concern,” he says. Colorado’s Norris agrees that the concentration of any one estrogenic pollutant in drinking water is not high enough to affect an adult human. “The people who are saying drinking water is safe are correct – by itself,” he says. But all together, he speculates, the compounds may have unrecognized effects, particularly for developing fetuses. Basic wastewater treatment removes about 90 percent of estrogenic compounds, on average, while secondary treatments can increase this to more than 99 percent, according to Samir Khanal, an engineering professor at Iowa State University, who studies estrogenic compounds as they move through the wastewater treatment system. He says the greatest risk of groundwater contamination may not be from sewage effluent but from biosolids–the sewage sludge that is removed during sewage treatment and applied to land as fertilizer. “[Estrogenic compounds] physically attach to the biomass,” Khanal explains, which is problematic because biosolid treatment removes hormones less efficiently. In the United States, about 50 percent of biosolids removed during sewage treatment end up being applied to the land as fertilizer, according to Khanal. Other studies have raised additional concerns about hormones in manure-based fertilizers and feedlot run-off. Regardless of the source of the contaminated biomass, when the land sits above a shallow drinking water sources, estrogenic compounds can enter into groundwater, adds Khanal. In rural areas with less comprehensive sewage treatment, the risk of groundwater contamination may also increase. For example, researchers from Silent Spring, a Massachusetts-based research and advocacy organization focused on women’s environmental health risks, are studying a Cape Cod community where most residents rely on septic systems in which solids settle in septic tanks and liquids filter through the soil. Women in this community have an elevated breast cancer risk – as much as 20 percent higher than the average risk for women elsewhere in Massachusetts. When preliminary studies ruled out “the usual suspects,” such as an older population, higher mammography levels, or family history, researchers started looking at possible contamination in the shallow aquifer that provides drinking water for the area. The group did detect estrogens and other wastewater chemicals in groundwater samples, but they cannot directly link them to the community’s breast cancer problem. “We are very limited in what we know about people’s lifetime exposure [to estrogenic compounds],” explains Silent Spring Institute executive director Julia Brody. Norris insists that until we better understand the effects, any excess hormone exposure is too much. “It’s best not to get this stuff in there in the first place,” he says. 1. The photo depicts a cold water reach of the South Platte that is nothing at all like the warm water reach that David Norris at CU claims is affected. 2. There are other possible reasons for intersex fish, but they don’t fit the CU researcher’s hypothesis. 3. Septic systems and biosolids are different. You have muddied rather than clarified the issue. 4. This is really old information. Why is it being presented now? 5. The article correctly points out that 99% or these microcontaminants can be removed in effective secondary treatment but completely leaves out the fact that a looming infrastructure problem in the U.S. weith a deficit in the multiple billions of dollars is a much more serious problem now than finding that other one percent of microcontaminants. For example, an efficient secondary wastewater treatment plant for that Massachusetts community mentioned in the article might not only remove most of whatever the researchers are concerned with but immeasurably improve the town’s groundwater. Beside lot of Denver attractions strange intersex fish were first found in pristine-looking Boulder Creek. Chemicals mentioned in the statement included chemical pesticides and phthalates used in plastics. The statement made no mention of concern about chemicals in birth control products that scientists link directly to the feminization of fish.